As discussed in our earlier blog, most Singaporeans – in their frenzy to look good and feel good – are turning to entirely WRONG and UNRELIABLE sources for help: sources like the Internet, off-the-rack “health” and “fitness” magazines and even fellow gym-goers for advice. By doing so, not only are they exposing themselves to the real risks of fitness MIS-information, but also putting their very own bodies, health and fitness in jeopardy. So, where then should one turn-to for authentic, real and truthful fitness information here in Singapore? In addition to the above, fitness publications from reputable fitness organizations such as: ACSM (American College Of Sports Medicine), IDEA (International Dance & Exercise Association), ACE ( American Council On Exercise) , NCSF ( National Council On Strength And Fitness) and a handful of other fitness organizations are also trustworthy and worth a read to anyone who is into fitness. So the next time you are tempted to reach out for that glossy, off-the-rack “fitness” magazine again, do think twice before you act. Because you’ll be so much BETTER OFF and SAFER gleaning your fitness information from real, authentic scientific sources (such as the above-mentioned) than from those commercial, for-profit-only fitness magazines. Bona-fide fitness professionals who have undergone the full spectrum of academic studies, on-the-field practical sessions and fulfilled rigorous certifying procedures would also be a good source of fitness information for the lay person out there. Fully qualified and certified fitness instructors, exercise trainers and sports coaches offer you a ready, on-hand source of reliable fitness information to tap upon. These very same fitness professionals would also be the best persons to offer you in-depth, scientific fitness explanations, perspectives and understanding that you will never get by chatting to your typical gym-rat or workout buddy at your neighbourhood fitness facility. 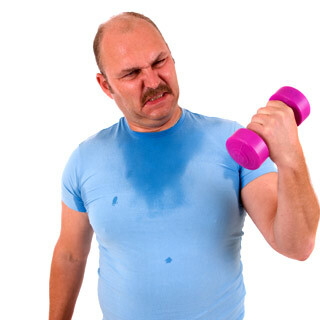 Now that you know where to go to for accurate fitness information, there’s no reason for you to continue being a VICTIM of fitness MIS-information again. Always remember to seek the RIGHT fitness sources, and you’ll never go wrong in your fitness pursuits ever again. With a vibrant economy supported by an increasingly cosmopolitan population, it is no surprise that the fitness industry here in Singapore is currently in the midst of a boom. As demand for private and personal fitness services continue to rise, more and more people are now opening up to the idea of a career or job within the fitness sector in Singapore. A fitness career or job does come with its fair share of perks and benefits – most notably, being in a position to help others improve their health, fitness and quality of life; and also being able to pursue one’s own hobby or passion in fitness full-time as a career choice. And of course, not forgetting that the fitness industry also happens to offer one of the most lucrative and rewarding remuneration plans to its BEST performers – especially to those who choose to operate a private or independent fitness business. It is an open secret that most TOP or ELITE trainers, coaches and instructors within the private fitness sector today rack-in 5-figure sums monthly – rivalling even the paychecks of many senior business executives in the corporate world – and truly living up to its billing as one of the highest-paying “freelance” jobs in Singapore. A Personal Trainer is essentially a fitness professional who specializes in one-to-one personal exercise prescription, instruction and guidance. The personal trainer usually chooses to specialize in one/some of the many fitness fields, ranging from sports performance to strength-&-conditioning to pre-post natal fitness and more. Usually the highly successful personal trainer would be one who runs his/her own private, independent practice, serving clients in their home residences, condominium compounds, private offices or even at outdoor settings. Typically, an established personal trainer here in Singapore would charge anything in excess of S$100 per hour of training. A Yoga Teacher is one who teaches and instructs in any of the various Yoga disciplines and forms, particularly those that involve some system of bodily exercises and/or mental relaxation. The elite Yoga Teacher is typically one who offers one-to-one or private small group sessions to an exclusive clientele, charging anywhere between S$100 – S$200 per session, depending on location, style/choice of Yoga, level of advancement etc. A Pilates Instructor is one who conducts body conditioning and physical training sessions based on the popular fitness system founded by Joseph Pilates. Top Pilates Instructors are usually those with a wealth of experience and credentials, and are often sought-after by celebrities, dignitaries and socially elite individuals for private personal sessions in their homes, hotel suites or private residences. On-going rates for exclusive one-to-one Pilates sessions with a top-of-the-field Pilates Instructor could cost anything between $150 – $250 per hourly session. 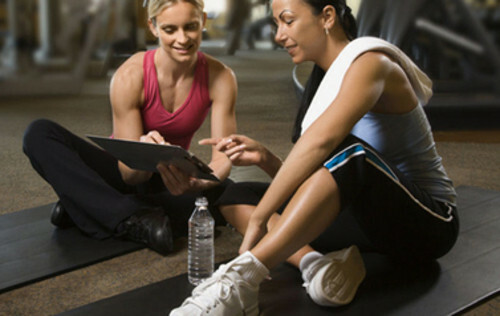 A Group Exercise Instructor is a fitness professional who conducts exercise and training sessions in a group setting. These group workouts may be conducted either indoors – in studios, function rooms and private spaces, or outdoors – in parks, public stadiums, along the beaches etc. These workout sessions may also be carried out to the rhythm of music – as in aerobics or dance fitness classes, or without music, as in fitness boot camps and small group conditioning sessions. Typically, a top-notch, in-demand Group Exercise Instructor commands a rate of $120/hour onwards for each session, or he/she may choose to charge by per head based on a minimum quota of participants ( the total revenue from all participants would usually have to be in excess of $100 per session before a class could start). 5 top fitness career choices for those of you who are keen on a career in the Singapore Fitness Industry. Just a word of caution though: as lucrative and rewarding a fitness career may seem, it may NOT be suitable for everyone. In order to make the cut, one must have a real passion in fitness, be a great communicator, have good social & interpersonal skills, and also sincerely like helping others to improve their fitness and well-being. If you think that you have all the above qualities and more, then CONGRATULATIONS – the Singapore Fitness Industry would be more than happy to welcome you to its family. 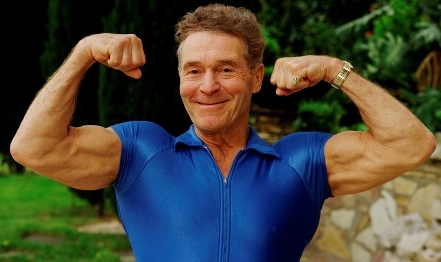 On Sunday, January 23 2010, American Fitness Icon – Jack LaLanne – passed away peacefully at the ripe old age of 96 after a bout of pneumonia. Tributes to him poured in from all parts of the world in remembrance of this Great Fitness Guru who almost single-handedly revolutionized the fitness industry, and brought fitness to the masses. Tales of his past fitness feats and wonderful personality filled the Media as America and the rest of the world struggle to come to terms with the loss of this iconic figure. Though thousands of miles apart, many over here in Asia – particularly Singapore – felt the impact of the loss too. As our tribute to this great Fitness Guru, we – at Singapore Fitness Professionals Network – would like to dedicate this blog post to the Father Of Fitness, and at the same time, hopefully inspire all our local personal trainers, fitness instructors, wellness coaches and other exercise instructors to live up to the high standards set by this fitness pioneer. In every aspect, Jack “walked the talk” of his fitness ideology. From his vigorous exercise routines to his strict dietary intake, Jack was a walking embodiment of what a fitness professional should be. Compare him to some of today’s so-called “fitness professionals” – who smoke, drink, party and do drugs – it’s not difficult to see why Jack is a true legend and role model in every sense of the word! Without a doubt, Jack was a superb communicator and people’s person. His effervescent and positive personality coupled with his natural charm helped him to spread the message of fitness and health effectively to the masses. Countless individuals have their lives transformed through exposure to Jack’s TV programs, books and various other products. At a time when weight-training was hardly practised and even frowned upon, Jack bravely went against conventional wisdom and daringly advocated training with weights to both men and women. He was also one of the first – if not the first – to promote home fitness training through the use of simple household items like chairs and towels to get into shape. Truly a maverick and pioneer in innovative fitness training! If there’s one person who truly deserves the award of a lifelong learner, it must be Jack. Always seeking for new ways to challenge and stimulate the human body; Jack carried his obsession with fitness education and learning all the way to his last days, never once, content to rest on his laurels. A true professional – right to the end. Who can forget Jack’s great feats of strength, stamina and human endurance – including doing more than 1,000 push-ups in 23 minutes on a television show, and swimming from Alcatraz Island to Fisherman’s Wharf in San Francisco — handcuffed, shackled and towing a boat! Few, if any fitness professionals in the world could come within a whisker of duplicating Jack’s stupendous feats. And let’s not forget that great physique of his which he carried so well right up to his nineties. Compare that to some of the bloated, out-of-shape “fitness pros” that we see nowadays, it further reinforces how inspiring Jack’s life was. As Jack passed on to a better world, we hope that the values, morals and example that he has left behind for us, would forever be a yard stick for Singapore fitness trainers and local exercise instructors to measure up to. In Singapore, the majority of personal trainers and fitness instructors plying their trade across the island are excellent professionals – no question about that. In fact, many of our country’s top, elite fitness professionals are so good – that many are often bestowed accolades and commendations from members of the Singapore Public itself. Unfortunately, there is still a minority who seems to exist merely to give the industry a BAD name. The list below (albeit written tongue-in-cheek) profiles some of Singapore’s worst personal trainers and private fitness instructors. Do make sure – that as a Private Consumer – no matter what you do – NEVER EVER – engage any of the following types of trainers/coaches if you value your own well-being and sanity! – talks down to clients and makes them feel stupid & worthless. – believes only in ONE way of training – “No Pain, No Gain”. – scoffs at “wimpy” training routines that use bands, machines or gym balls. – justifies duplication by telling clients that they are “not ready to move on yet ” or they “have to master the basics first” etc …. – loves to gloat and boast at how “EASY” a trainer’s life is. – feels miserable if not given a chance to talk. – no qualms splattering others with his/her salivary projections. – feels that the client is merely an “accessory” to accentuate self. – gets highly agitated in the presence of better-shaped contemporaries. – rationalizes the need for touching clients with the phrases: ” to help you FEEL the movement better” OR “to help you get in TOUCH with the working muscles“. – has only ONE aim of joining the fitness/wellness industry: to get in-touch – literally with other people’s bodies! – extremely shy and insecure. – often jumps from one approach to the other – with NO scientific basis: one moment has the client balancing on a bosu ball, the next moment has the client suspended from ropes, and the next juggling kettlebells…..etc etc. – peddles stuff from weight-gain powders to weight-loss pills, from gym gloves to energy drinks etc …. – always thinks in dollars and cents. Well, there you have it – the different types of personal trainers and fitness instructors in Singapore that you – the Fitness Public – would be wise to AVOID at all costs! Thankfully, the number of top-notch and exceptional Personal Trainers and Fitness Instructors here in Singapore still outnumber the bad hats in the industry. To check out some of Singapore’s Finest Fitness Professionals, do visit www.SingaporeFitnessNetwork.com now. Also, if you think we have missed out on other examples or categories of BAD fitness professionals, or would like to add your own category of ‘Bad’ trainers here, please feel free to send us your comments! We would LOVE to add your contributions here too!